A Hamas official denied Israel’s accusation that it was behind Monday’s rocket strike north of Tel Aviv, which wounded seven Israelis and led Prime Minister Benjamin Netanyahu to vow a strong response. 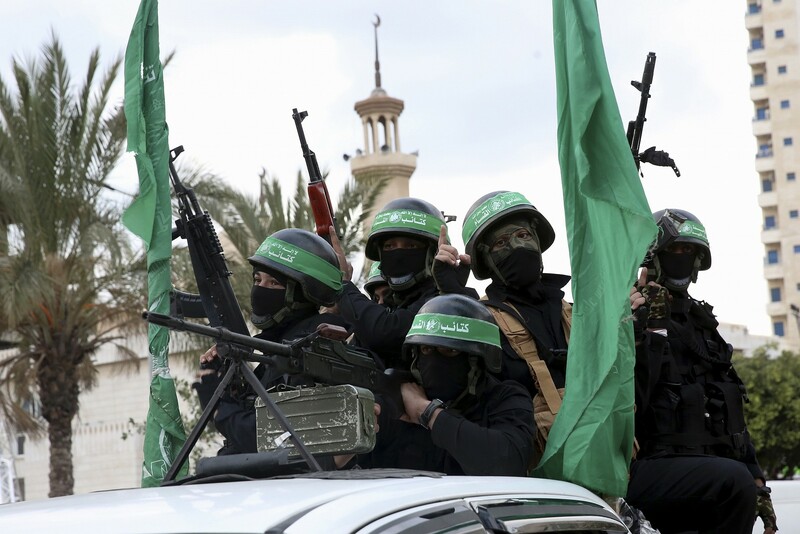 The Hamas-run Interior Ministry on Monday launched an investigation to determine who fired the rocket, a senior official with the Hamas terror group told The Times of Israel on condition of anonymity. As of Monday afternoon, Hamas had not issued an official statement on the rocket launch and no terror group in Gaza had taken responsibility for it. A rocket was fired at Mishmeret, a town in central Israel, early Monday from the Gaza Strip. It struck a residential building and left seven injured including two small children. IDF spokesman Ronen Manelis said, “The launch was carried out by Hamas from one of the group’s launchpads. We see Hamas as responsible for everything that happens in Gaza.” The rocket came from Rafah, a city in southern Gaza, he said. Egyptian intelligence officials have visited Gaza and Israel several times recently to discuss efforts to advance a de facto ceasefire between terror groups in the Strip and the Jewish state. The official added that Hamas leaders and Egyptian officials were in contact on Monday regarding the rocket fire. Prime Minister Benjamin Netanyahu has vowed to respond “forcefully” to the “criminal attack” and has cut short a trip to the US so that he can oversee the response from Israel. The Israeli military has deployed two additional brigades to the Gaza region and called up reservists for air defense units following the attack, according to the IDF. Meanwhile, Islamic Jihad secretary-general Ziad al-Nakhala said the Palestinian terror group will respond to any Israeli “aggression” with force. “We warn the Zionist enemy against perpetrating any aggression against the Gaza Strip. Its leaders should know that we will respond with force to their aggression,” said Nakhala, a Gaza native who has been based in Syria and Lebanon since 1988, in a statement published on the Islamic Jihad-linked Palestine Today website. On March 14, two rockets from Gaza were fired at Tel Aviv, landing in open areas and causing no direct injury. In response, Israeli war planes hit over 100 Hamas targets in the Gaza later that night, the army said at the time. The following day, after a brief exchange of fire, Israel and terror groups in Gaza reportedly agreed to a ceasefire. Israeli media later reported defense officials said that low-level Hamas operatives apparently shot off those rockets by mistake. This entry was posted on March 25, 2019 at 5:02 PM and is filed under Uncategorized. You can subscribe via RSS 2.0 feed to this post's comments. You can skip to the end and leave a response. Pinging is currently not allowed.